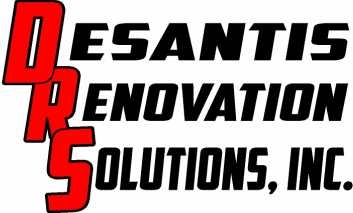 About DRS Inc. - DeSantis Renovation Solutions, Inc. Established in 2009, Desantis Renovation Solutions, Inc. is a family-run general contracting company that serves the San Diego beach communities. We typically have 2 to 3 crews working in the Pacific Beach and Mission Beach communities. This gives us fast response times for scheduling and quick turnaround on projects including punch list maintenance work, complete unit renovations/upgrades, and maintenance emergencies. From single rooms to complete house renovations, we are your one-stop shop for your remodeling needs. We have built a strong, reliable, and experienced employee base, which allows us to keep almost all work “in-house”, meaning the same crew of workers will be on-site from start to finish. This allows for less chance of delays in the scheduling of many different subcontractors, and also gives the homeowner or tenant the security of not having different workers coming into their house daily. We work with commercial property managers (industrial, office and retail, etc. ), designers, and tenants. Tenant improvements range from paint/carpet, to completely reconfiguring entire office spaces. We offer the same "in-house” service as we do with our residential remodels, in which a main core crew handles all work, from start to finish. In addition to the trades we do ourselves, for larger projects, we are also building great relationships with many of the top sub-contractors in San Diego. So whether it’s handyman services or complete remodels that you are looking for, our goal and commitment is to continue to build our reputation as a full-service “One-Stop Shop” for all your maintenance and renovation needs! Primary GC for Penny Realty, Inc. - Provide all maintenance and remodeling needs for 400+ units in San Diego beach communities. Torrey Pines Property Management - Primary GC for Bay Inn Apartments in Pacific Beach (81 units) and Via Temecula Apartments in Point Loma (24 units). Also perform work for various other TPPM properties that need work beyond on-site maintenance. Primary GC for 3465 Ltd., which owns and manages 3465 Camino Del Rio S., a 44,000 sq. ft. commercial building in Mission Valley. Primary TI Contractor for Kearny Park, a commercial and industrial park in Kearny Mesa that is managed by CBRE. Remax Real Estate Pacific Beach - Provide a wide range of services to get properties contract-ready. Haute Homes (specializes in vacation rentals) - Provide maintenance work in beach vacation rental units. Honesty, Reliability, and Pride in Workmanship is our foundation! Thank you for the opportunity to prove it to you!